It’s called the Forgotten Cookie, but I’ve renamed it the “un” forgotten cookie in honor of Valentine’s Day. It’s a sweet treat to whip up to let someone know they’re not forgotten 🙂 Have you ever tried one of these delicious, light and airy cookies? 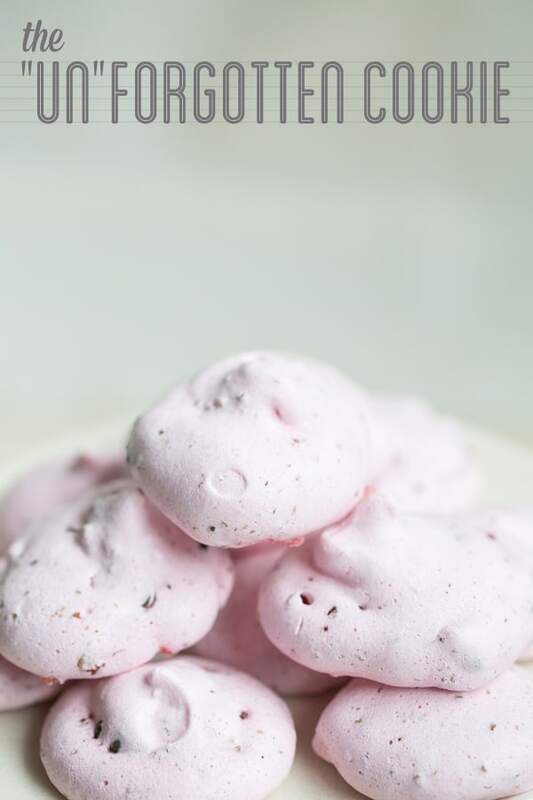 They’re similar to a meringue cookie, but a little chewier with the perfect amount of crumble. They also have chopped pecans and chocolate chips, which make them even better! One of my best friends, Amy, has been making these for years and has graciously shared her recipe with us! They’re super easy to make and the best part is that you can make them the night before and “forget” about them while they cook in a heated oven… the oven is actually turned off while they bake! 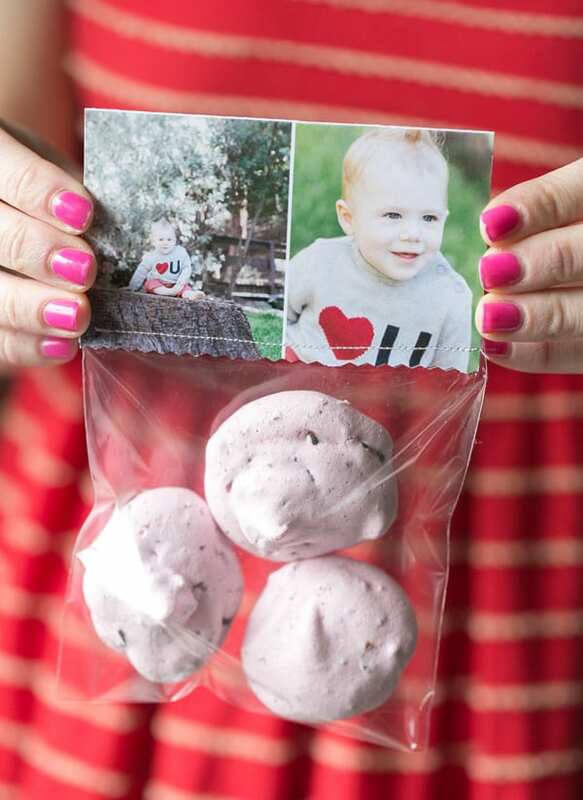 I wanted to create something sweet for Romeo’s first Valentine’s this year and when I made these, I knew they would make a special treat for his loved ones 🙂 Read more for the recipe and to see how you can create your own picture-perfect Valentine’s goodie bags. 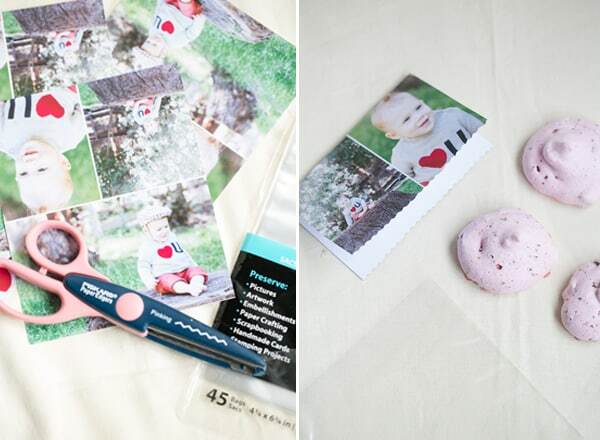 I made a little photo collage using Photoshop in 4.75 by 4.75 inches to match the size of my cellophane bags. I had them printed and cut at Staples. I then cut the edge to give it a zigzag look. Preheat the oven to 350 degrees. Beat the egg whites until soft peaks form. Slowly add in the sugar and salt and vanilla and beat on high until stiff peaks form. Stir in the pecans and the chocolate chips. Add the mixture in a piping bag with at least a 1 inch opening and pipe out about a 2 inch circle on a well-greased cookie sheet. Place cookies in the oven, then turn the oven off and leave the cookies in there overnight! Oh and you can add any color of food coloring! Maybe green for St. Patty’s Day! 22 responses to The “Un” Forgotten Cookies and Valentine’s Day Treat! Ah!! These are ADORABLE! 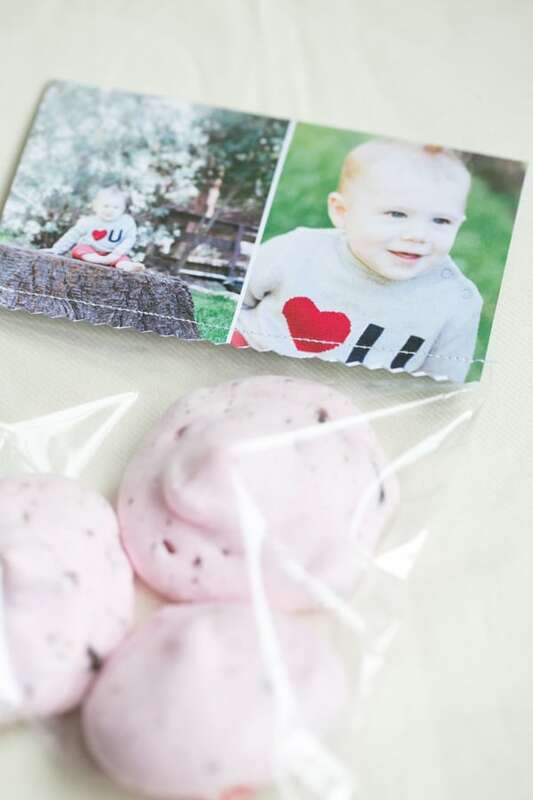 I may have to make some this weekend for Matteo’s dayare class! So cute and ohmygoodness do those sound amazing! I’ve never heard of cookies that cook in a turned off oven, I’m intrigued!! I know right?! First time for me too… and I kind of liked the fact I didn’t have to keep checking on them… I just “forgot” about them, haha! So cute!! Those pics of Romeo are adorable! He’s getting so big! And those look like such the perfect little treat. Holidays are so fun with kids! Next year I want to have a little kids Valentine party! Thanks Kristin!! I can’t WAIT to plan Romeo a Valentine’s Day party when he’s older! 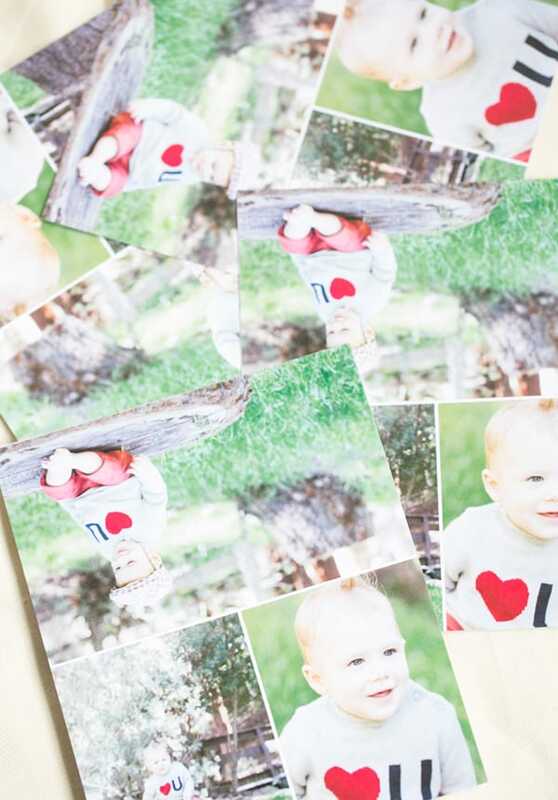 How cute will it be to have all the little kiddos over for hot cocoa and some fun Valentine’s games and treats! LOVE!! The unforgotten cookie seems to be a nice treat for the valentine day and thanks for sharing this lovely recipe. Thank you!! They’re very easy and tasty!! The recipe doesn’t say when to add the vanilla paste…since that is an ingredient I have never used I was curious…assume with the sugar and salt?? Hi Tracee, The vanilla bean paste is pretty much the same as vanilla extract! You can add it with the sugar and salt 😉 Thanks!! Wow, this is a good idea for this Valentine’s Day. It seems easy to make. Thanks for the recipe. Good question!! Leave them in there for at least 2 hours so they can harden! Can vanilla extract be used in place of the paste?